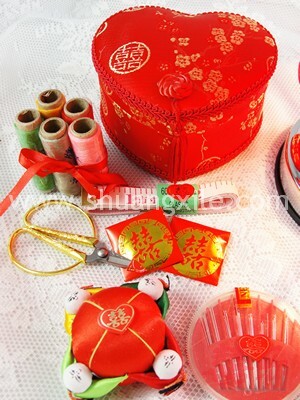 Latest super cute mini version sewing kit! 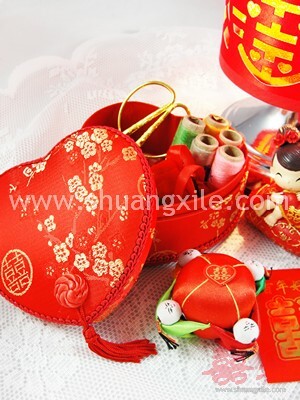 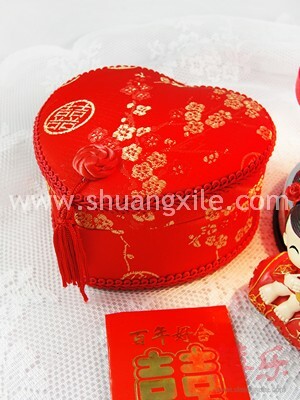 Items included are needles, 五色线 threads, needle cushion, measuring tape, mini gold dragon phoenix scissors (only 8cm in total length), 2 packs of red packet (each consists of one pack of large yuan coin and one pack of small yuan coin). 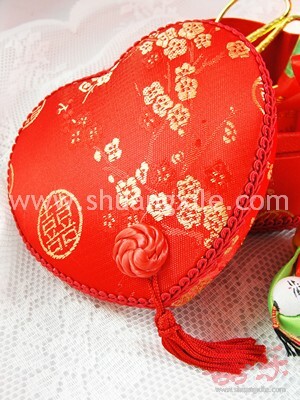 Visit us at our retail store to see the actual piece！ You will be surprised!